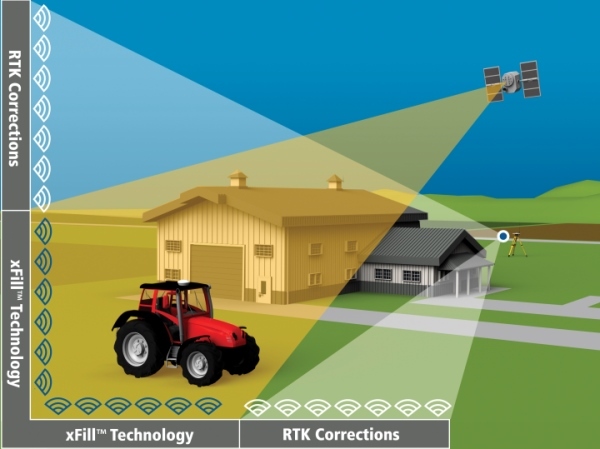 Trimble RangePoint™ RTX correction service is powered by Trimble RTX™ technology. RangePoint RTX leverages real-time data from a global tracking station network along with innovative positioning and compression algorithms to compute and relay satellite orbit, satellite clock, and other system adjustments to the receiver, resulting in the real time high accuracies. These adjustments are transmitted to the receiver via satellite (where coverage is available) and via IP (Internet Protocol) worldwide. 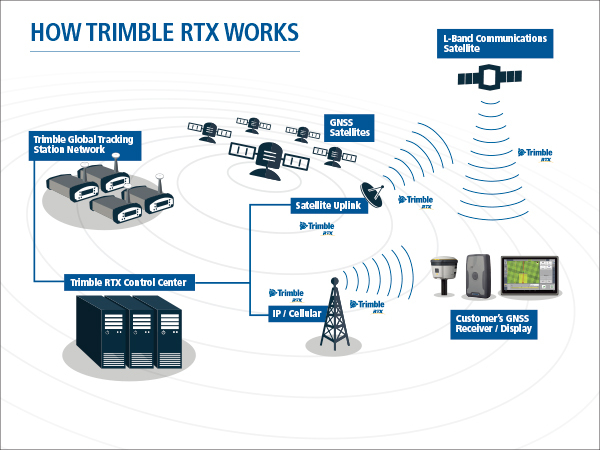 CenterPoint® RTX, Trimble RTX’s premier correction service, provides accuracy better than 4 cm (1.5″) via satellite or cellular. No other satellite delivered correction service performs better. VRS Now™ provides instant access to real-time kinematic (RTK) corrections utilizing a network of permanent (fixed) continuously operating reference stations. 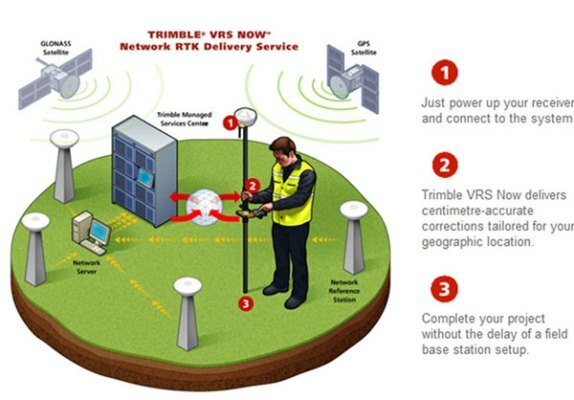 Powered by Trimble RTX technology, Trimble xFill leverages real-time data from a global tracking station network along with innovative positioning and compression algorithms to compute and relay satellite orbit, satellite clock, and other systems adjustments to the receiver, resulting in the real time high accuracy positions. These adjustments are transmitted to the receiver via satellite (where coverage is available). When turned on, the receiver tracks the RTX (L-band) satellite as well as every satellite in its field of view including, GPS, GLONASS, BeiDou and QZSS satellite constellations. From the L-band satellite, you will receive the RTX real time correction stream that allows you to calculate your position to high accuracies, without the need of a base station.